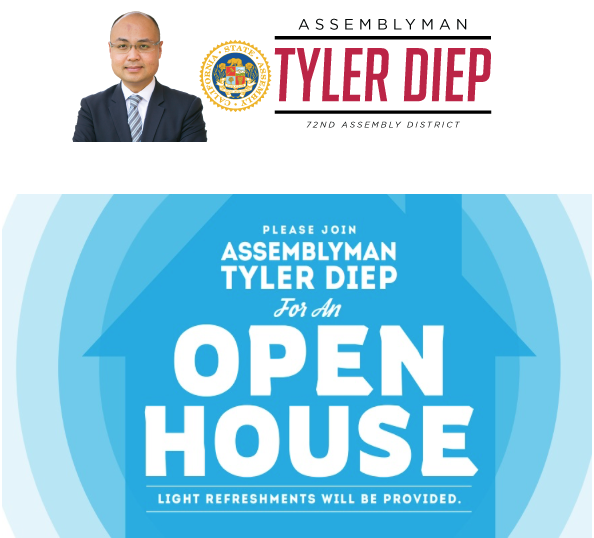 Join Assemblyman Tyler Diep for his inaugural Open House at the District Office. Please consider bringing a canned food item to donate to the Orange County Food Bank. Light refreshments will be provided.